In the DNA Replication, Transcription and Translation unit you will learn the details of how and why DNA Replicates. You will also learn how the DNA codes for specific amino acids and how this information is transcribed from the DNA to make proteins. Genetic information in DNA can be accurately copied and can be translated to make the proteins needed by the cell. Describe the meaning of “semiconservative” in relation to DNA replication. Explain the role of complementary base pairing in DNA replication. When a cell is preparing to divide, the two strands of the double helix separate. The new strands are used as a guide or template for the creation of a new strand. 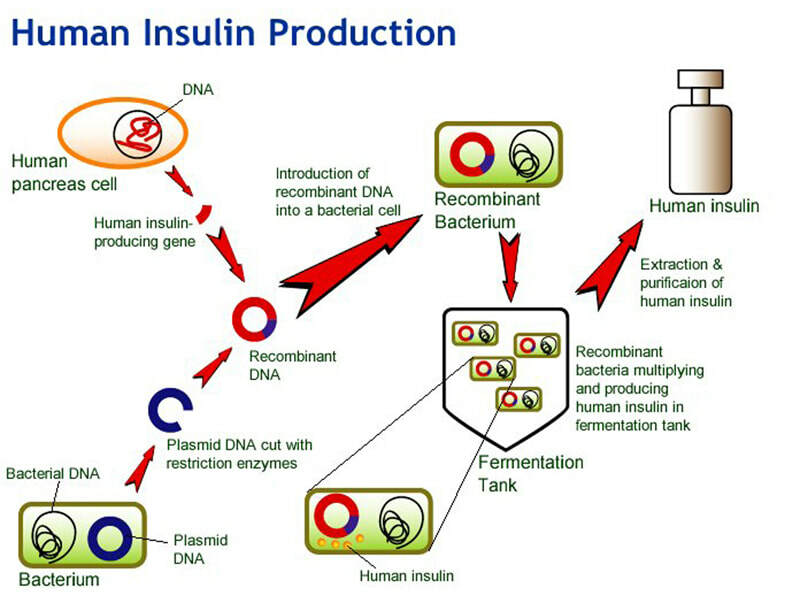 The results of this process is 2 DNA molecules, both made up of the original strand and a newly synthesized strand. Therefore DNA replication is referred to as being semi-conservative. The base sequence on the template strand determines the base sequence on the new strand, only a nucleotide carrying a base that is complementary to the next base on the template strand can successfully be added to the new strand. Rule – one base always pairs with another is called complementary base pairing.This makes sure that the two DNA molecules that are created by DNA replication are identical in their base sequences to the parent molecule that was replicated. Contrast the number of origins in prokaryotic cells to the number in eukaryotic cells. Contains six golbular polypeptides arranged in a donuts shape, the polypeptides assemble with one strand of the DNA molecule passing through the center of the donut and the other outside it. Energy from ATP is used to help move the helicase along the DNA molecule breaking the hydrogen bonds between the bases and parting the two strands. Describe the action of DNA polymerase III in pairing nucleotides during DNA replication. Every time a nucleotide is added to the new strand only one of the four types of nucleotide has the base that can pair with the base at the position reached on the template strand. 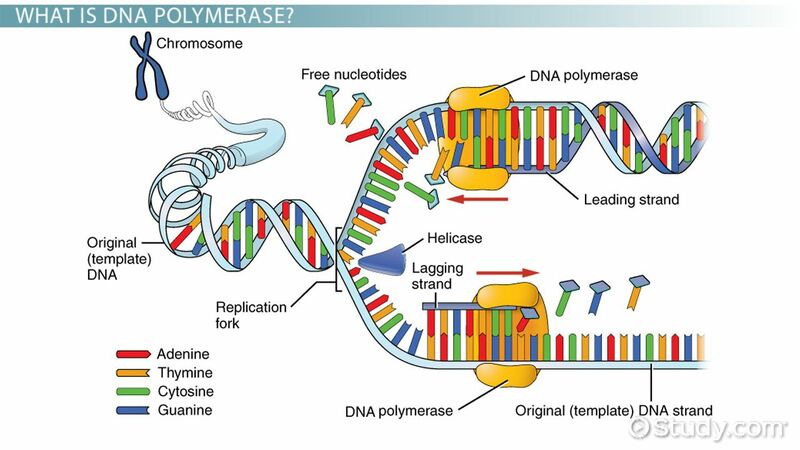 RNA has a base sequence that is identical to the other strand with one exception there is uracil in place of thymine- to make an RNA copy of the base sequence of one strand of a DNA molecule, the other strand is transcribed. 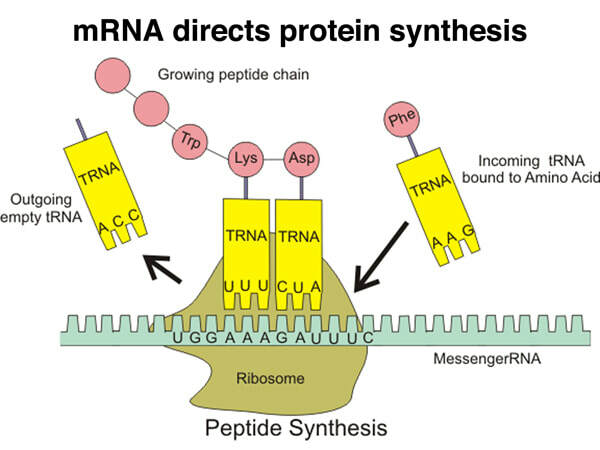 2.7.U5 ​Translation is the synthesis of polypeptides on ribosomes. Condons help the cellular machinery to convert the base sequence on the mRNA into an amino acid sequence is called the genetic code. The base sequence in a DNA molecule, represented by the letters A T C G, make up the genetic code. The bases hydrogen bond together in a complementary manner between strands. A will always go with T (U in RNA) and G will always go with C.
Repeatedly doubles the quantity of the selected DNA, involves double-stranded DNA being separated into two single strands at one stage of the cycle and single strands combining to form double-stranded DNA at another stage. 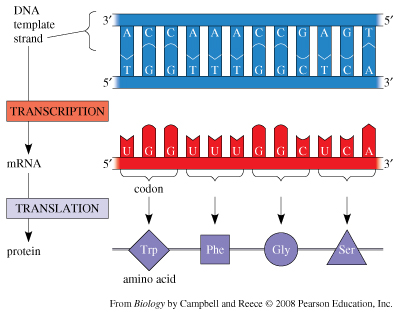 The set of DNA and RNA sequences that determine the amino acid sequences used in the synthesis of an organism's proteins. It is the biochemical basis of heredity and nearly universal in all organisms. The same genetic code appears to operate in all living things, but exceptions to this universality are known. 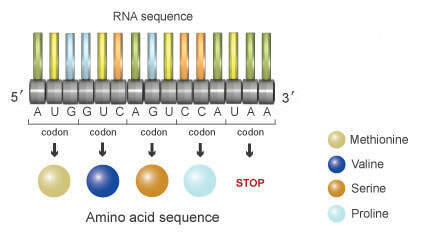 S 2.7.3 Use a table of mRNA codons and their corresponding amino acids to deduce the sequence of amino acids coded by a short mRNA strand of known base sequence. ​2.7.S4 Deducing the DNA base sequence for the mRNA strand. ​​​​​Correct use of terminology is a key skill in Biology. It is essential to use key terms correctly when communicating your understanding, particularly in assessments. Use the quizlet flashcards or other tools such as learn, scatter, space race, speller and test to help you master the vocabulary. ​DNA replication animation in real time. It's amazing to think that millions of your DNA containing cells are doing this in your body right now. 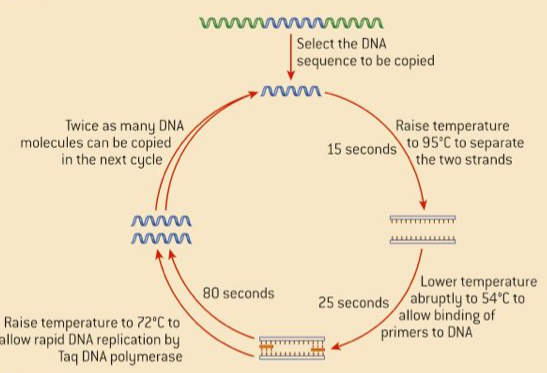 Remember, this is how fast DNA replicates in real time! ​Paul Andersen explains how DNA replication ensures that each cell formed during the cell cycle has an exact copy of the DNA. He describes the Meselson-Stahl experiment and how it showed that DNA copies itself through a semi-conservative process. He then explains how multiple enzymes, like DNA polymerase, helicase, primase, ligase, and single strand binding proteins copy DNA. He also differentiates between the leading and the lagging strand. He explains how DNA is anti-parallel in nature and how eukaryotic cells have multiple origins of replication. ​DNA Structure and Replication: Crash Course Biology #10 Hank introduces us to that wondrous molecule deoxyribonucleic acid - also known as DNA - and explains how it replicates itself in our cells.